This is the 2013-2014 bachelor thesis project of Kevin Langlois. 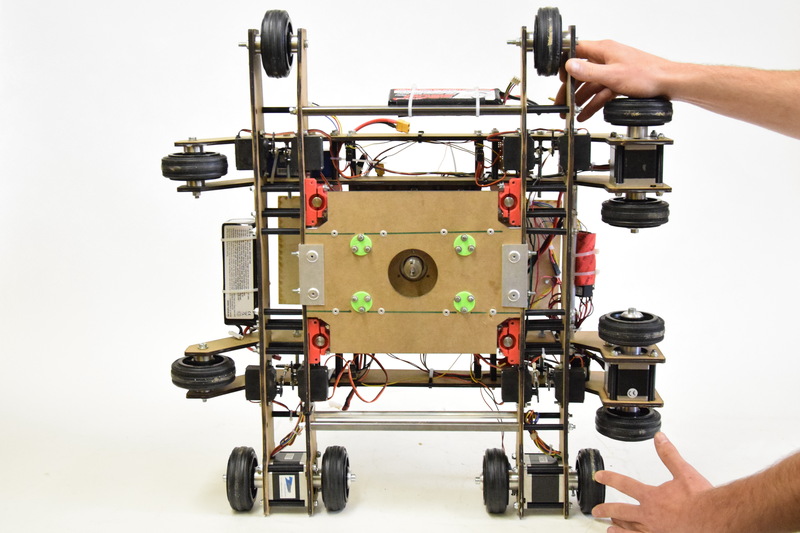 The goal was to design a remote-controlled CNC-robot that could process G-code. 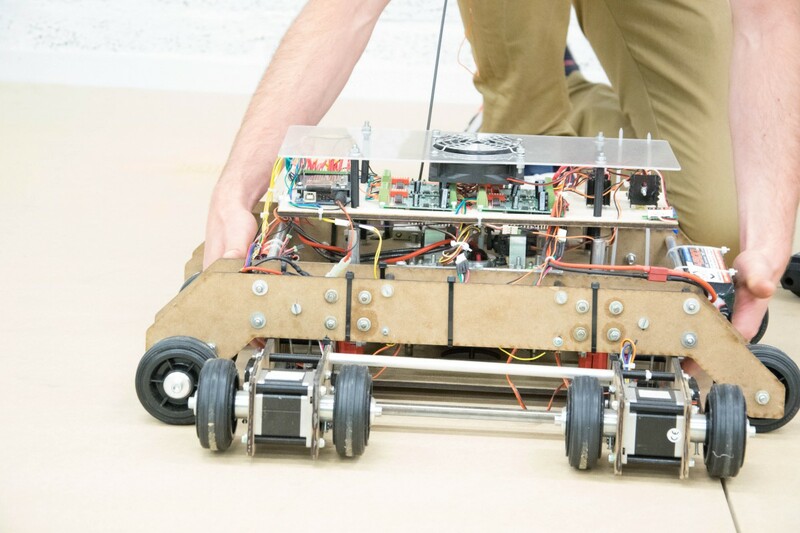 The chosen concept maximises traction with a low center of gravity, in order to use the robot for CNC-milling in plywood boards or floor surfaces. The robot works by dead reackoning, using 2 orthogonal drive trains (X and Y). 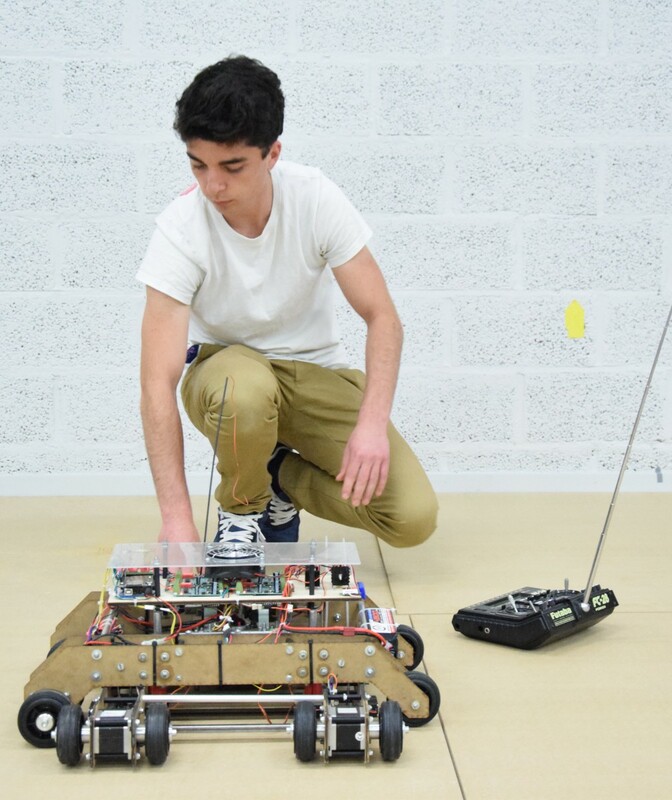 When the robot moves in the X-direction the Y-wheels are lifted of the floor and vice-versa. 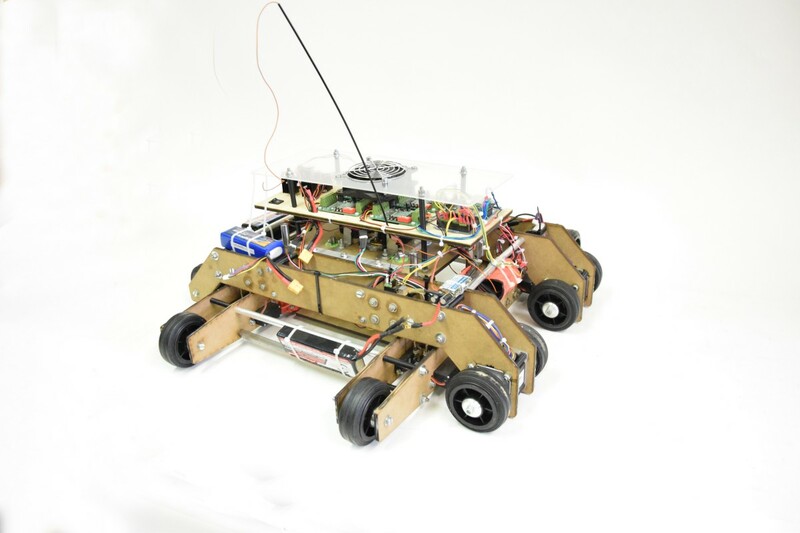 The electronics are based on Repman 1.4 electronics, combined mith more powerfull stepper drivers. The wheels are direct drive, with NEMA23 steppers. The mill is a brushless motor. 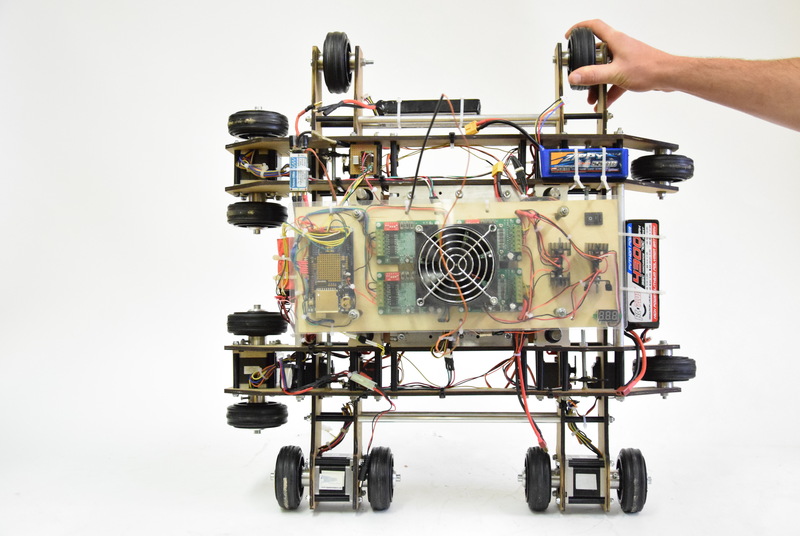 The lift system is realised using servo’s. This compromises on accuracy, but allows for rapid interchange between X- and Y-wheels. The robot is positioned using remote control, then a G-code file is selected from its on-board SD-card and the robot executes the milling operation.